Misting fan Rentals and Port A Cool Rentalshelp lower the heat. 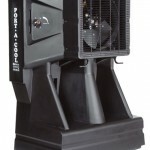 We have added misting fan rentals and Port A Cool rentals to our rental packages. We will have misting fan rental packages by the day,week and month. Also, you can rent a Port A Cool by the day,week or month. When the hot Texas Heat gets here , we will be ready to serve you. Here is some ideas for our misting fan rentals outdoor retail, fire departments/rescue squads, outdoor weddings, music events, pools, patios and decks, construction sites, sporting events, tent rentals, camping/resorts. Outdoor misting Fan systems reduce air temperature by as much as 35 degrees! 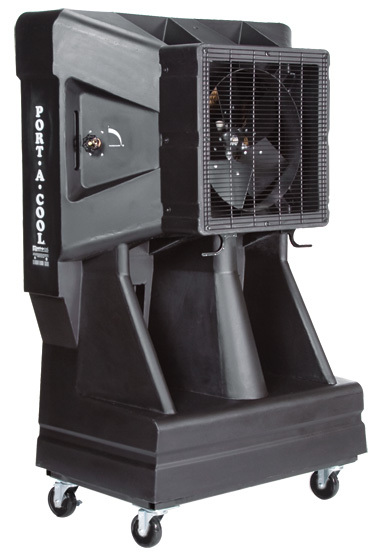 Our Port A Cool is a Evaporative cooling system. It can lower the temperature 15 – 20 degrees. The Our Port A Cool Rental cools for up to 8 hours without a hose connection. Remember if you want a Evaporative cooler with no mist rent the Port a Cool. If you want a Misting fan that blows fine mist, Rent the misting fan. OSHA studies show that worker productivity improves with cooler working environments. This entry was posted on Saturday, April 7th, 2012 at 6:18 am	and is filed under News & Updates. You can follow any responses to this entry through the RSS 2.0 feed. You can leave a response, or trackback from your own site.